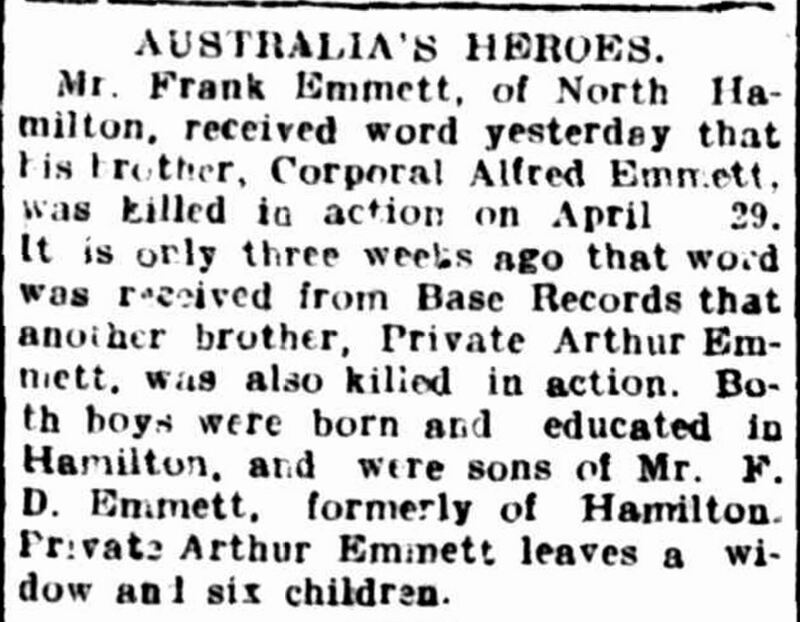 Arthur Emmet was a son of Frank Emmett and Kate Cannon and was born in 1882 at Hamilton. Arthur attended Hamilton State school before Frank and Kate went on to Mt William and later the Hopetoun district. An older brother Frank, a drover remained in Hamilton living at North Hamilton. In 1905, twenty-three-year-old Arthur was living at Carron, east of Warracknabeal with his parents when he married Evangeline Franklin of Minyip. Their first child May was born in 1906 at Stawell. The next two children, both boys. were also born at Stawell. By 1909, Arthur and Evangeline were living at Areegra, near Carron and Arthur spent time as the licensee of the Bangarang Hotel. During December 1914, the Emmetts moved to Campbells Creek near Castlemaine where Arthur had taken over the licence of the Standard Hotel. Arthur enlisted on 7 July 1915. By that time, Arthur and Evangeline had four children, and twins Violet Dardanelles and Arthur John Franklin were born after Arthur enlisted. Evangeline stayed in Campbell’s Creek to tend the hotel and Arthur departed Australia with the 24th Battalion on 26 November 1915, but moved to the 8th Battalion in Serapeum, Egypt on 24 February 1916. He was allocated to C Company, Section 3, Platoon 9. From Egypt, Arthur went to the Western Front, arriving at Marseilles, France on 31 March. The following two days were spent on a train as the battalion moved to Bailleul. They then set up camp at Steenwerck. 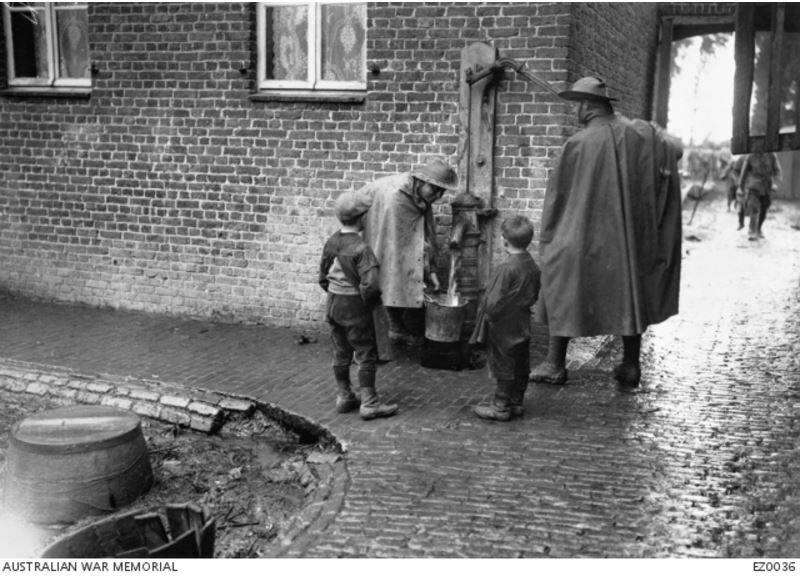 On 30 April they prepared to move on to Fleurbaix where they were in the frontline trenches from the beginning of May. The unit diary noted 5 May as their worst day so far but it quietened down after that including the day of 8 May when Arthur was wounded. Arthur had a shell fragment in his toe and around the time he was in hospital he wrote a letter to Mrs Farrell with the letter published in The Ouyen Mail on 9 August 1916. He said he had been on the frontline, presumably at Fleurbaix, and wrote of the lovely crops he’d seen and the families living close to the frontline. He said little children and women somehow escaped but a lot were killed. Seeing the children must have turned his thoughts to home. Arthur rejoined the 8th Battalion at Fleurbaix on 21 May and was straight back into the trenches. They remained at Fleurbaix until the middle of June before moving on to Neuve-Église and then Messines until 8 July when they moved back to Bailluel. They were making their way to Pozières and they arrived there near Sausage Valley on 23 July. 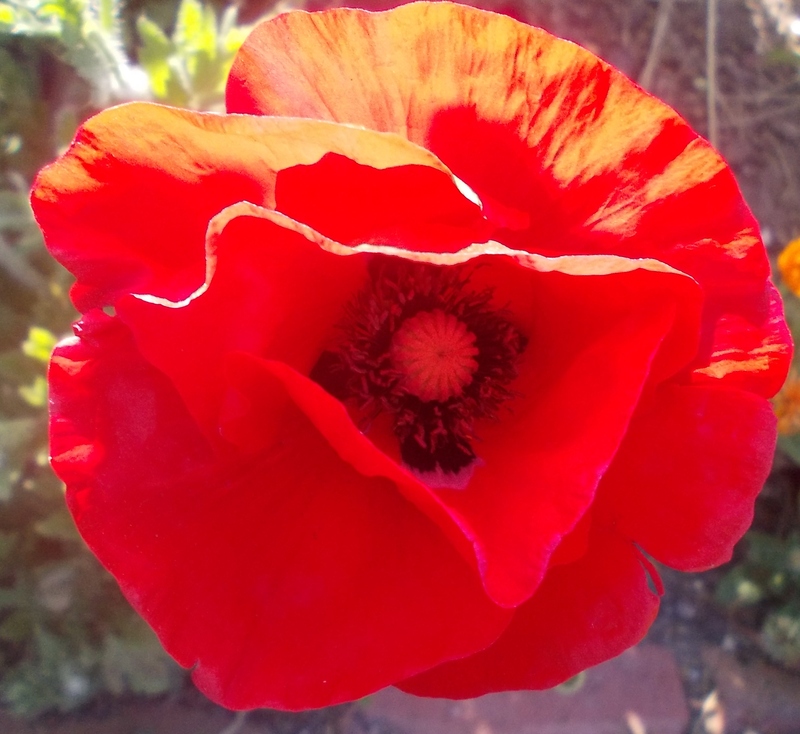 On 25 July 1916, Arthur’s platoon went “over the top” and by the time the sun was coming up on 26 July a witness, friend William Skelton, saw Arthur dead in a shell hole. Other witnesses recalled a shell exploding close to Arthur and the shrapnel killed him instantly. His body was not located and he was reported missing. When Evangeline heard Arthur was missing she enlisted the help of the Red Cross Information Bureau in Melbourne. 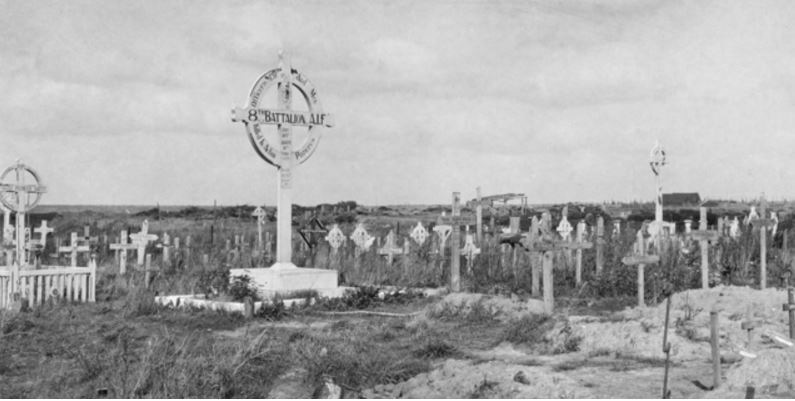 By mid-March, the Red Cross reported back the news of Arthur’s death at Pozières. As she had not heard from the Defence Department, Evangeline wrote to them and told them of the Red Cross’ report. They told her there was no further update on Arthur’s status of missing in action. She wrote again on 17 May and again the reply was there was no further update. It was not until 4 August 1917 that a Court of Enquiry was convened to investigate Arthur’s death. Finally, Arthur’s death was officially confirmed. At the time of Arthur’s death, his eldest child was ten and the twins eighteen months old. For the Emmett family, it was a double blow with Arthur’s younger brother Alfred Emmett killed only weeks after they heard from the Red Cross of Arthur’s fate. “Hamilton Spectator” Hamilton Spectator (Vic. : 1870 – 1873; 1914 – 1918) 12 May 1917: 6. Web. 22 Mar 2016 . Despite the sad news for Evangeline, she did not give up hope that Arthur may still be alive. Her feeling was that he was a prisoner, but in 1920, word came from a returned serviceman who believed he had seen Arthur in London. Apparently, he had spoken to a man by the name of Emmett who had served with the 8th Battalion. She wrote to the Defence Department to tell them. Since she had no real proof that Arthur was killed, and she believed witness accounts did not add up, she thought it a possibility. The return letter told Evangeline there was no other consideration other than Arthur was killed at Pozières. Arthur and Evangeline’s eldest daughter May Philomena Annie married in 1929 to Wilfred Reginald Owen and eldest son Clement married Elsie Jane Bryant in 1932. Two of Arthur’s sons enlisted in WW2, Arthur John Franklin and Geoffrey Raymond both with the RAAF. Arthur’s second eldest daughter Iris married in 1942 to Douglas Anderson. Evangeline Emmett died in Ararat in 1962 aged seventy-nine. Arthur’s nephew, a son of Frank Emmett of North Hamilton, planted a tree for Arthur along Hamilton’s Anzac Avenue in August 1917.